What is the person actually trying to say? Typically, people are so concentrated on getting their point across that they don't take the time to understand what the other person is saying, which usually leads to two people talking past each other on totally different subjects. It is important to start of with a good understanding of what the person is trying to say before offering a different perspective. Otherwise, you many not be able to address their specific problems or miss that you are actually in the wrong. Also, it is a lot easier to change before stating your own opinion. There are certain events in our lives that teach us a lesson that last for a life time. One of those such lessons occurred when I was around 11 or 12 years old. It was a Sunday afternoon and some of my "cool" friends said that they would pick me up around 9:00 o'clock the next day to go water skiing. They had a boat and were rich and everybody seemed to want to be friends with them. On most days at that age I would have biked up the dirt road to my friends house, waited for them to be allowed to play, and then played baseball or some other sport for the rest of the day. Those summer days were some of the best I remember. However, my friends up the road were not as "cool" as my friends with the boat, and so I waited to hangout with them instead. There has been a lot in the news lately about being "on the right side of history." This is an admirable goal, but in our current context it seems little more than the cry of a bully. History is a great teacher because it gives us perspective over time. The things that have stood the test of time are more important and more likely true than those things that have not. There is only one sure way to be on the right side of history and that is to follow the norms that history has already taught us. Participating in the LGBT movement is not a guarantee of being on the right side of history, in fact, it is quite the opposite since marriage has historically been defined as being between a man and a woman. We don't and can't determine history. When evening came, His disciples went down to the sea, got into a boat, and started across to Capernaum. It was now dark, and Jesus had not yet come to them. The sea became rough because a strong wind was blowing. When they had rowed about three or four miles, they saw Jesus walking on the sea and coming near the boat, and they were frightened. But He said to them, "It is I; do not be afraid." Then they were glad to take Him into the boat, and immediately the boat was at the land to which they were going (John 6:16-21). This event is immediately following the feeding of the five thousand, which should have connected the dots between Jesus and how God sustained Israel with manna in the desert. But, they merely thought that Jesus was a prophet (John 6:14), instead of being divine. 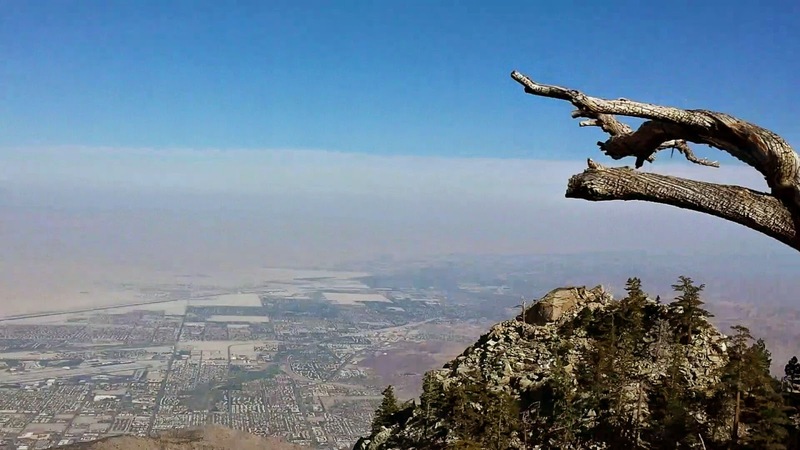 Overlooking the Coachella Valley from the San Jacinto Mountains is a breathtaking view. Recently, I was sitting on an outcrop over 10,000 ft above the valley floor and it reminded me of the greatness of God. It seemed that no matter how long I sat there I could not get enough of the view. My mind could not take it all in. All I was left with was wanting more. This view is just one of the views that God created and it teaches us that He is greater than our minds can comprehend. For His invisible attributes, namely, His eternal power and divine nature, have been clearly perceived, ever since the creation of the world, in the things that have been made (Rom. 1:20). The reaction to Indiana's signing of their Religious Freedom and Restoration Act set a new record in the frenzied secular religious fervour of intolerance. Popularity is the religion of the masses which leads to intolerance. The same people who discriminated against the LGBT community in the past are now the people who are discriminating against those who they perceive as discriminating against LGBT community now. The people have not changed, but their religious tenets have, which change with the spirit of the times.